Continuing the fine tradition of choral music that exists in Ballina, Friday 3rd February sees St Muredach’s Cathedral Choir, St. Mary’s Secondary School Choir and YouTube sensation Fr. Ray Kelly joining forces for a wonderful night of music, ‘Raise Your Voices‘, in the spectacular surroundings of St. Muredach’s Cathedral. In aid of the ongoing restoration work on the beautiful building, which dates from the 1830s, the concert will take place at 8pm and tickets are just €15. For a little taste of what’s in store, you can check out Ft. Ray’s unique version of ‘Hallelujah’ below. 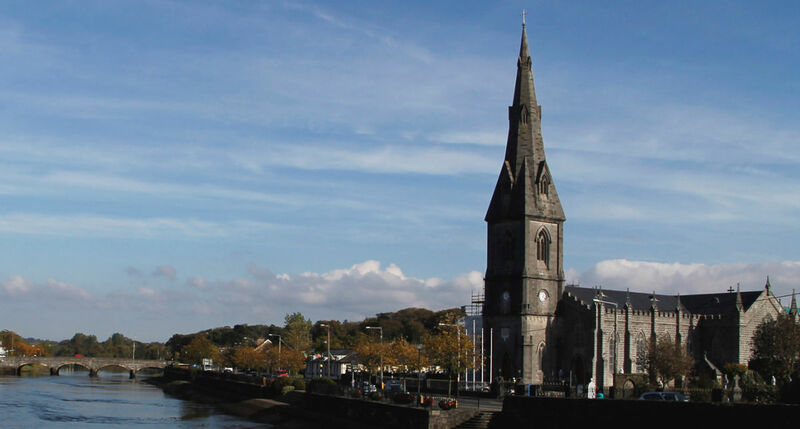 The St. Muredach’s Cathedral Choir are well known in Mayo for their beautiful music. Fr. Ray, meanwhile has his own claims to fame, having risen to stardom in April 2014 when his unique version of Leonard Cohen’s Hallelujah, performed during a wedding ceremony, was uploaded to YouTube. However Fr. Ray has long been a performer, and has already released two studio albums. Time has taken its toll on the beautiful old building that is St. Muredach’s Cathedral, and important restoration work is now being undertaken internally with the sacred space. Parishioners have embarked on a sustained fundraising drive to safeguard the future of this historic building, which has stood watch over the River Moy for many years. The work to date has mostly been concentrated on the roof and on the spire. The restoration project is now in its second phase, and is hoped that it will be completed in full by 2018. ‘Raise your Voices’ is just one of many events that have been run to fundraise for the restoration of this much-loved building.